While I am not sure of the order of the rest of these segments (as I said earlier there seemed to be a lot more than usual which definitely worked for Drake), the next highlight of the night was something called “Drake and Blake” (or Blake and Drake) and including Los Angeles Clippers star Blake Griffin. This will go down in ESPYs history without a doubt. Drake found the time in between hosting to perform live, but he did not perform his songs. He performed two unique songs specific for the ESPYs called “Side Pieces” and “Honorable Mention.” This performance once again helped the show and was funny as Drake mentioned sports figures in these songs. I immediately thought of the only ESPY song better than these: “I Love Sports” by Justin Timberlake back when he hosted in 2008 (JT get an A++ for his ESPYs in case that wasn’t obvious). The last two segments (one pre-taped and one done live with a guest appearance by Skylar Diggins) were nice finishing touches on a good show by Drake. 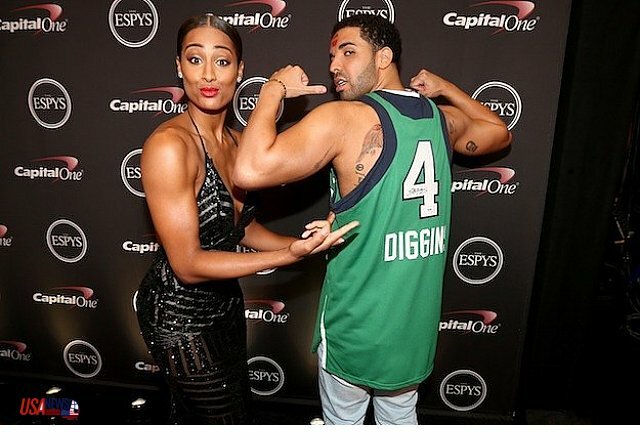 I thought the Skylar Diggins “Can I Dig In” poem skit was much funnier than the Manny Pacquiao skit (the one line about the May weather was very well done). This entry was posted in Home and tagged Aubrey Graham, Blake and Drake, Blake Griffin, Cleveland, Drake, Drake and Blake, ESPN, ESPYs, Honorable Mention, Lance Cam, Lance Stephenson, LeBron James, Manny Pacquiao, Side Pieces, Skylar Diggins. Bookmark the permalink.